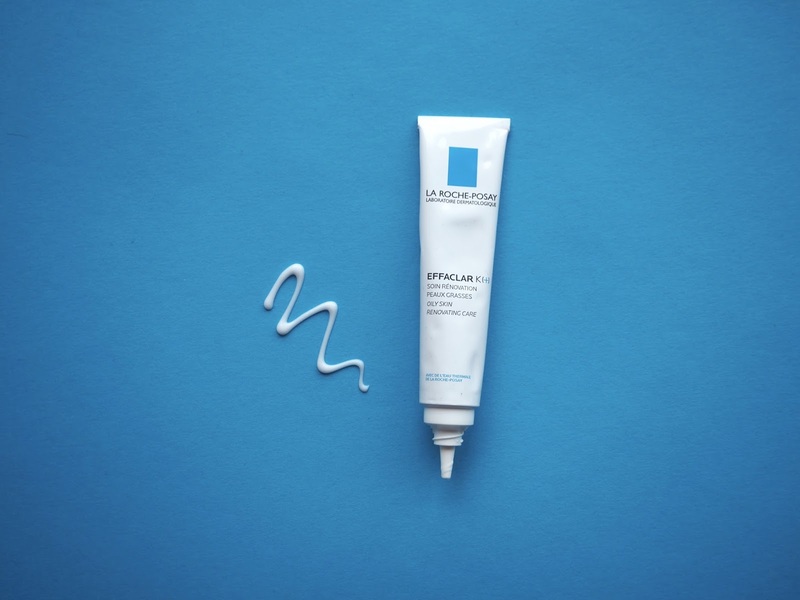 If you’re not familiar with Effaclar, it’s La Roche-Posay’s anti-acne range. LRP is a French pharmacy brand that’s using science to create effective products suitable for sensitive skin and specific skin concerns. Effaclar is particularly popular seeing that acne is quite a ‘common’ skin concern. It also is non-comedogenic, meaning it doesn’t contain ingredients that clogs up pores, resulting in more breakouts. In the past I’ve tried Effaclar DUO (discontinued), Effaclar DUO+, Effaclar H and Effaclar Mat in the past. They’re are all lovely moisturisers, widely loved and insanely popular, but they didn’t diminish my acne —just as they didn’t worsen it. Effaclar K+ is a new addition to the family – currently on offer (1/3 off) at Escentual – and is described as, “A daily treatment to prevent sebum oxidisation and non-inflammatory breakouts”. It contains Salicylic Acid, which gently exfoliates the skin, unblocks pores and prevents oxidation of excess sebum, thus diminishing whiteheads and blackheads. Vitamin E protects you epidermis with antioxidants and together with Carmonsine, it has a synergic effect on squalene oxidation, resulting in a fresh-faced feeling. Whilst it does contain mattifying ingredients, it’s not drying or uncomfortable on the skin. As it’s a very thin fluid, I tend to use this as a serum: post-toner, pre-oil/moisturiser and apply it on targeted areas where I’m breaking out. Yes this also means that I often slather this all over my face, HA. It is a lovely base for makeup, doesn’t dry out the skin and doesn’t make my makeup flake off. I used this twice a day, every day for a few weeks now and my skin has improved heaps! First time I used this, I was dealing with a bad breakout on my face and jaw/neck. After a week of usage, my breakout diminished, was less inflamed and not as red. Two weeks later, the breakout on my jaw that refused to budge finally started clearing up. As I continuously kept using it, I noticed fewer breakouts and the best part for me was that it was fighting my acne without drying the skin around it. No nasty flakes or itchiness. I’d recommend getting this if you’re looking for a gentle, yet effective treatment to battle your acne woes —be it big or small. If you’ve got oily to very oily skin, you could probably pull this off as your moisturiser. However, if you’ve got combination, normal or dry skin: please do apply an oil, moisturiser or both after it, as it definitely won’t be hydrating enough and it’ll be really uncomfortable on the skin. I’m not saying this is a miracle product, as with acne, you just gotta be patient and live a healthy lifestyle, but this small tube definitely improved and speeded up the process of [my skin’s] recovery!